Alexa is going to school for communication. 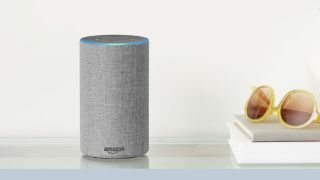 Starting soon, you won’t have to constantly say Alexa’s name to get her attention during a conversation - Alexa will just keep listening and responding until you’re finished asking questions. The idea, according to Alexa Brain’s head, Ruhi Sarikaya, is to create a ‘friction-less’ interaction with the personal assistant. Sarikaya made the announcement at a keynote presentation at the World Wide Web Conference in Lyon, France. In the future, that will mean Alexa will be able to continue conversations more naturally - e.g. you can ask about the weather today, the weather tomorrow and the weather next week, all without pausing the conversation to say ‘Alexa’ in between in each query. These improvements will roll out to US, UK and Germany first, Sarikaya says, but refrained to give an exact date as to when we could expect the update to hit. Despite the lack of an official launch date, these improvements should mildly excite owners of the Amazon Echo, Amazon Echo Dot and Amazon Echo Show - they will, in many ways, improve the naturalness of the conversations you have with Alexa going forward. This might also help Alexa catch up to Google Assistant as some of these features - like reminders - have been part of Google Assistant’s programming for some time.